In a posting to the Republic of Bangsar Facebook yesterday, the Lembah Pantai MP stated that “we have not ‘wiped out’ the name Bangsar South in the dramatic fashion that some media have put in their headlines”. Fahmi said some people including the media misunderstood “or have not seen clearly enough what the Pemasyhuran of Kampung Kerinchi means”. Fahmi also revealed some of the plans set to be implemented for Kampung Kerinchi. 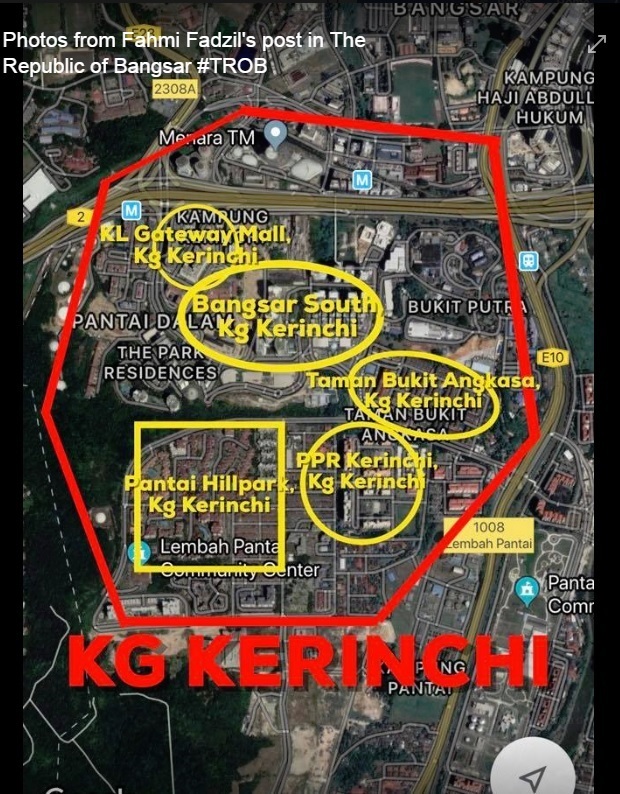 It was reported on Saturday that Bangsar South would officially revert to the name Kampung Kerinchi. “There is a mismatch between a place being sold and touted as Bangsar South with the reality that this was not Bangsar to begin with. Bangsar is north of the Federal Highway on the other side. “This has never been Bangsar. This has always been Kampung Kerinchi,” Fahmi was reported as saying to the Malay Mail news portal last week.